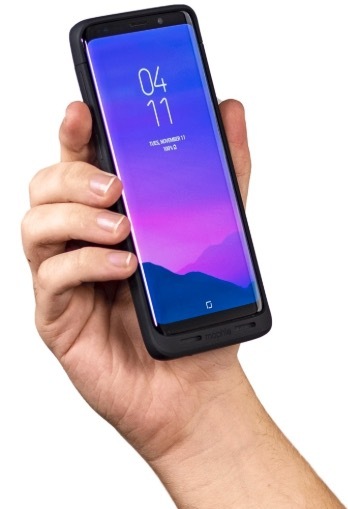 Griffin’s Survivor Strong case for the Galaxy S9 is a slim protective case that meets or exceeds the Mil-Std 810-G durability standard. The Griffin Survivor Strong case features 7-foot drop protection onto concrete due to its impact-resistant polycarbonate inner shell. And it has a non-slip grip exterior that slides easily into your pocket. Plus it is lightweight at only two ounces in weight. The Mophie Juice Pack is a battery case that provides extra battery power when your Galaxy S9 is running low. It is also compatible with Qi wireless chargers, which is typically used in many new cars and furniture. Built into the Mophie Juice Pack is a built-in 2,070 mAh battery to extend the life of your device up to 32 hours. And the juice pack battery case is able to maintain the functionality of the phone as it charges. The juice pack battery case also provides additional protection for the device as it has internal rubberized support to protect the phone from drops and falls and prevents scratches and cracked screens. You can recharge the juice pack battery with the cable that is included with your Galaxy S9 device. The Galaxy S9 will recharge first followed by the juice pack battery. And you can turn the juice pack battery case on and off with the LED Status Indicator button. The Samsung Galaxy S9 S-View Flip Cover allows users to see and interact with the phone screen through the front. You can respond to incoming calls, alarms, and events even if the cover is closed. 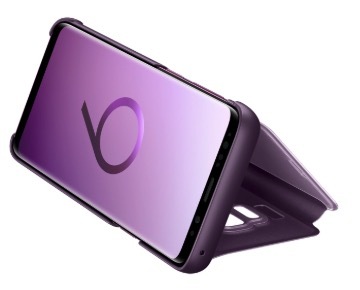 And it has a built-in kickstand to prop the Galaxy S9 up. Plus the S9 S-View Cover shows allows you to see the full screen whether the cover is open or closed. 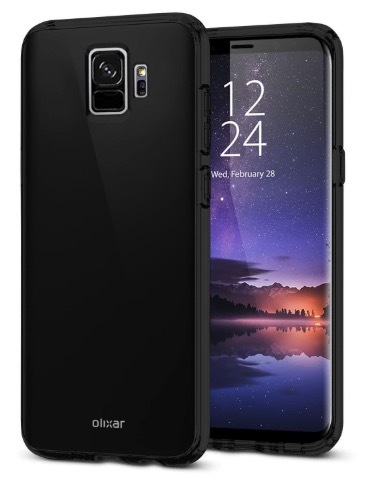 Olixar’s FlexiShield S9 Case is made with a strong durable material and features a non-slip coating to provide extra grip for the Samsung Galaxy S9. 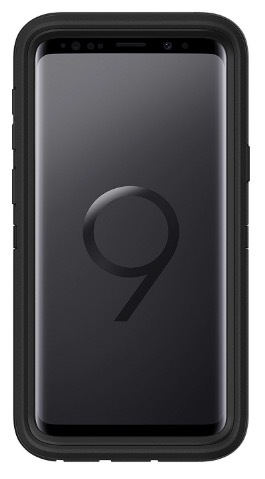 And it has a raised bezel on the case to protect the Galaxy S9 screen from scratches and dirt. Plus you can put the Galaxy S9 face down on surfaces without having to worry about the Galaxy S9 being vulnerable to damage. The OtterBox DEFENDER SERIES Case protects the Galaxy S9 from shatters, scratches, and dirt. The included belt-clip holster also works as a kickstand for a hands-free experience.